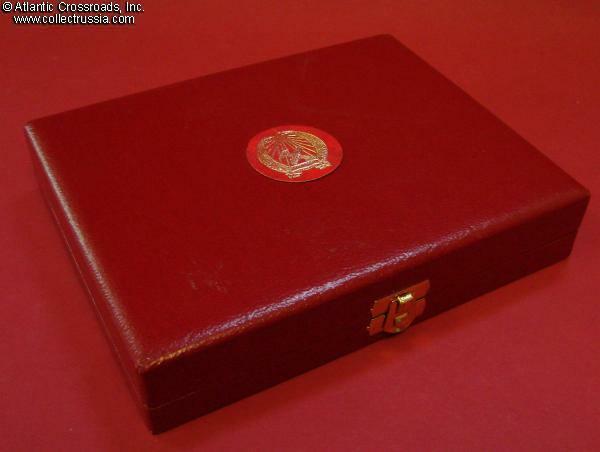 Order of Merit of the Hungarian People's Republic, 2nd class set with custom-made presentation case, 1949-1953 issue. The set includes 2nd Cl. 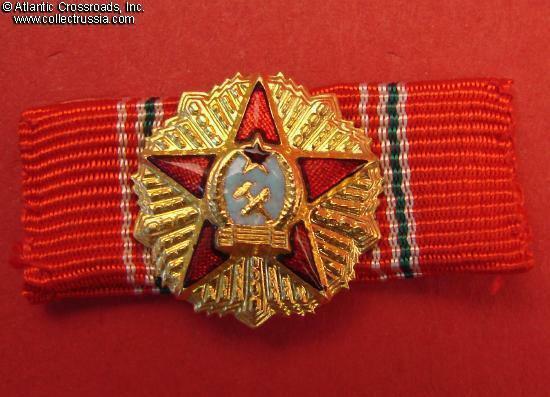 Breast Star, "Small Decoration" on a ribbon with 19 mm miniature badge, ribbon bar with an additional miniature badge, and custom-made presentation case. 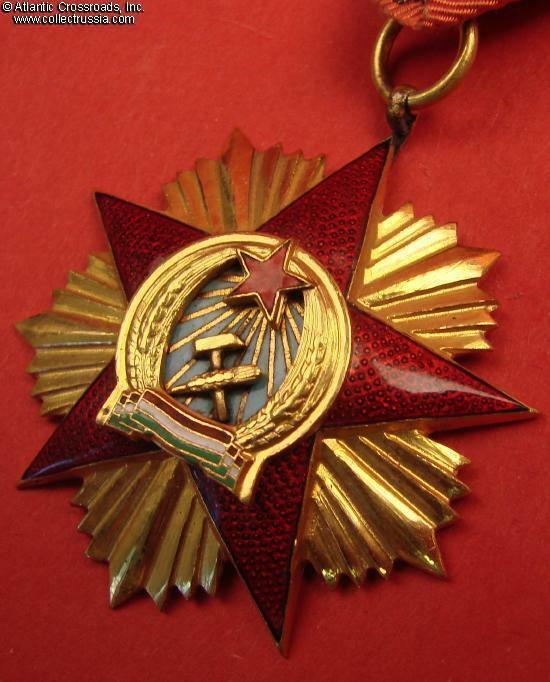 Breast Star in brass gilt and enamels measures 58.6 mm in width, 59.1 mm in height; weighs 53.1 grams. 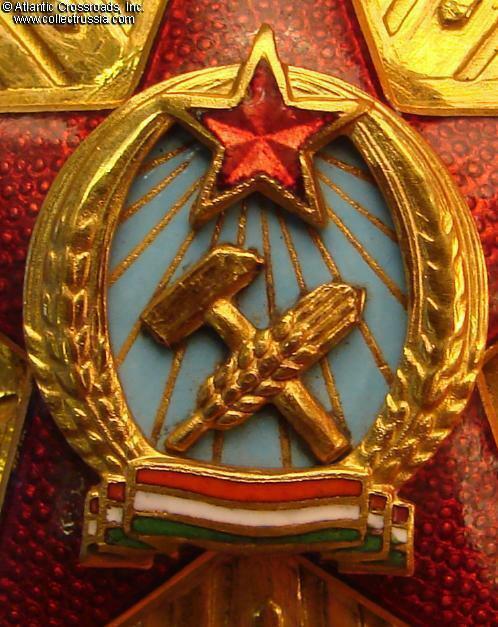 A spectacular piece featuring the early state emblem of Hungarian People's Republic. There is a clearly visible maker mark to the underside of the pin near the hinge. 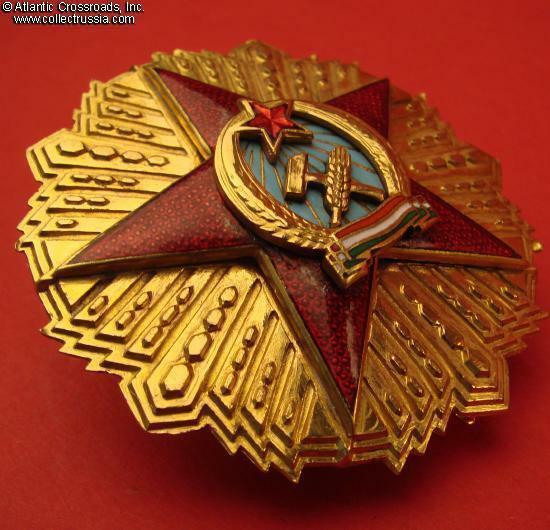 The breast star is in excellent, near mint condition, apparently never worn. Breast Badge ("Small Decoration") on a ribbon suspension. 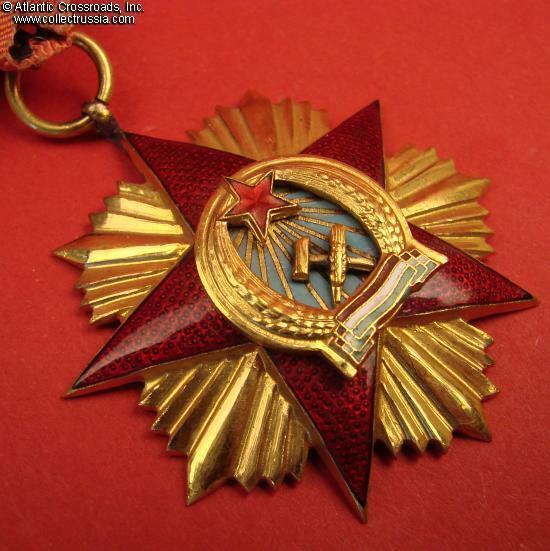 The medallion is in brass and enamels, 42.1 mm wide. The enamels are of beautiful quality. 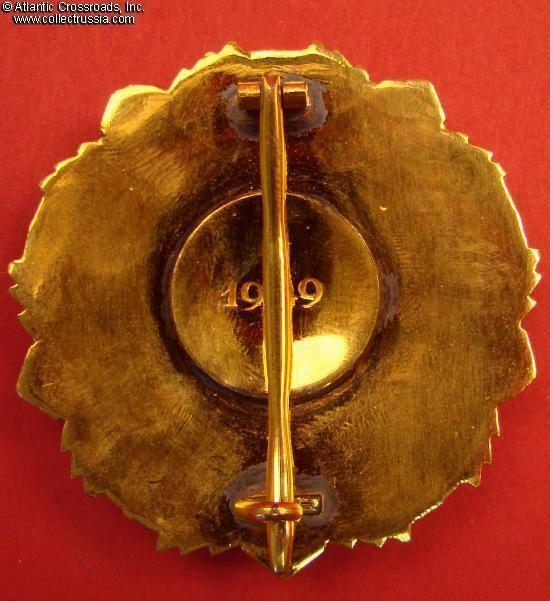 There is an additional miniature badge in brass and enamels, 19.2 mm wide, attached to the ribbon. 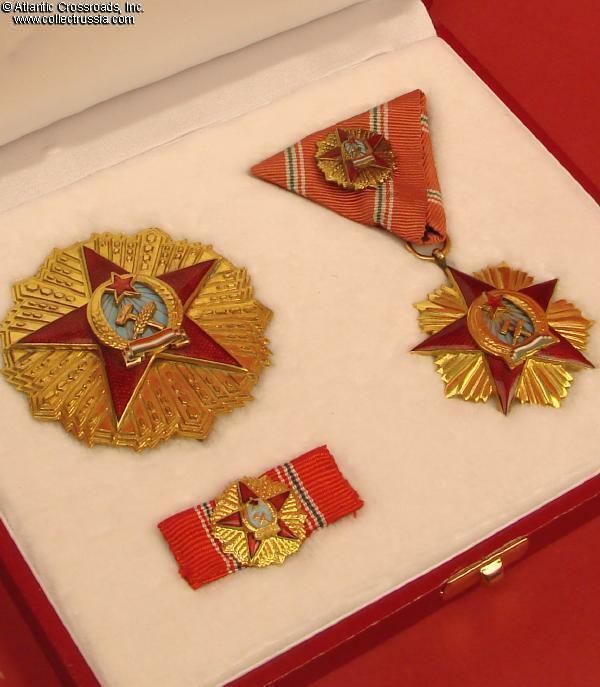 The miniature designates the 2nd class of the award. 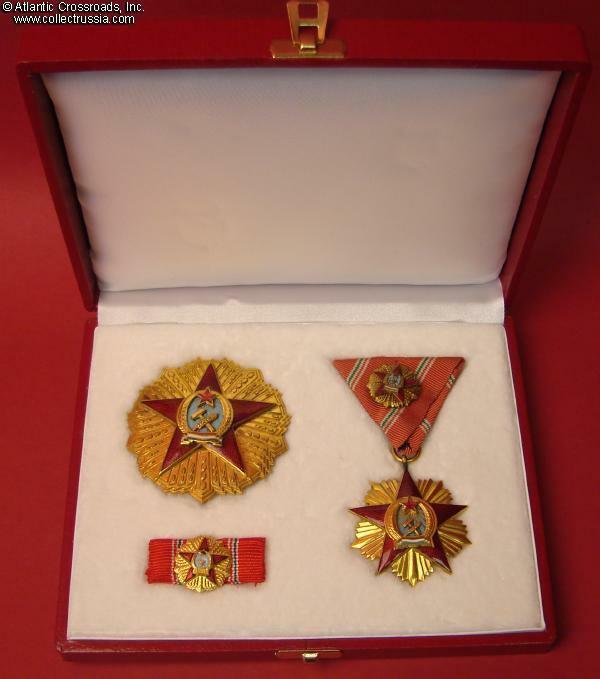 The "Small Decoration" was designed to be worn on less than special occasions in lieu of the breast star, and was essentially the same for all classes of this order from 1st to 5th. 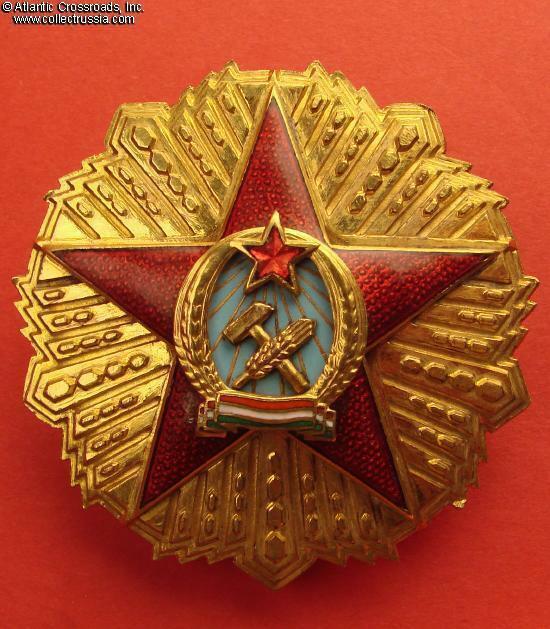 The attached miniature badge served as a class designation: it was approx. 25 mm wide for the 1st class, 19-20 mm in gold or silver for the 2nd and 3rd cl. respectively, 18 mm for the 4th class; the 5th cl. did not have a miniature badge. 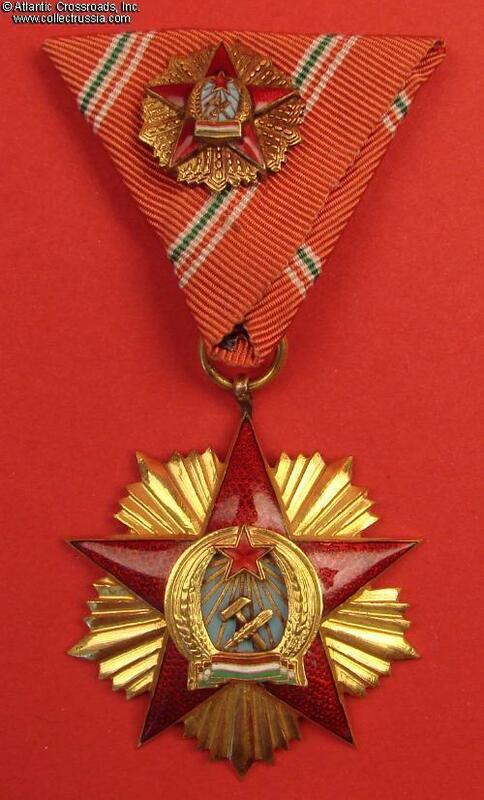 The medallion and ribbon are in superb condition. 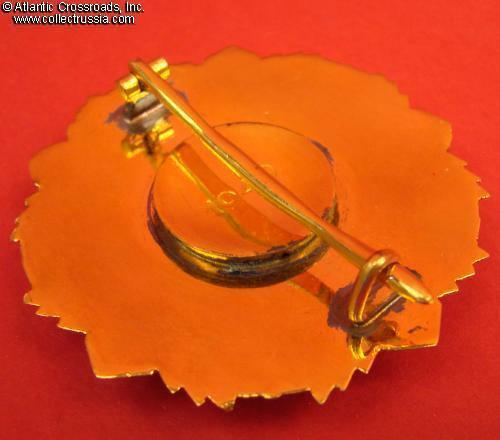 The miniature badge is likewise perfect with the exception of one of the prongs attaching it to the ribbon being broken. 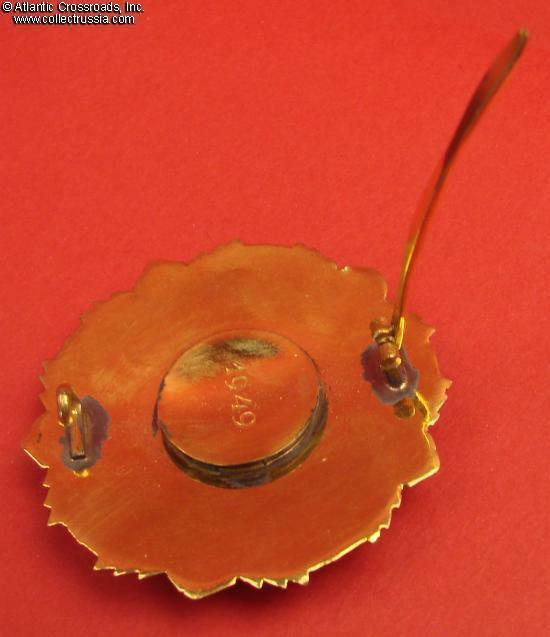 The remaining prong however is still intact and it holds the miniature on the ribbon well enough. 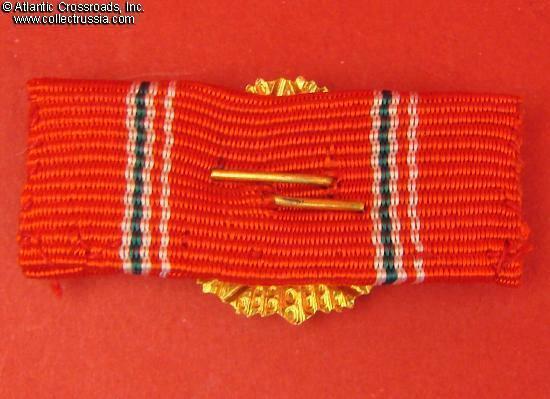 Ribbon Bar with attached 2nd cl. 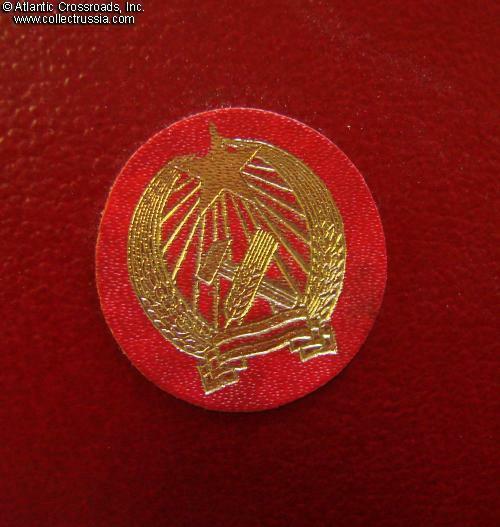 miniature badge in brass and enamels. The bar is approx. 37 mm wide; the badge is 19.4 mm wide. In excellent condition. 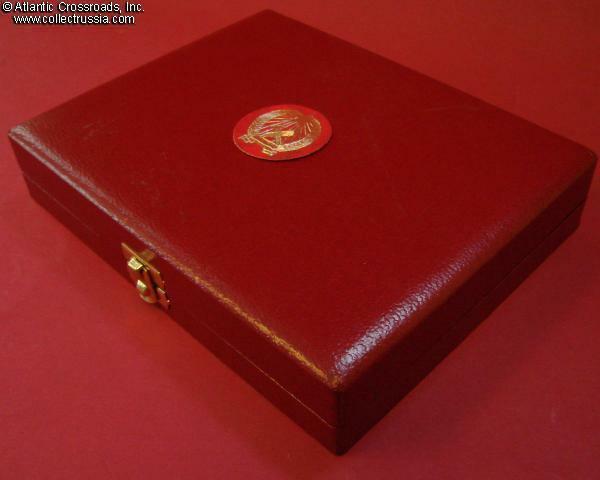 Presentation Case wrapped in red ersatz leather with plush white interior having fitted nests for the breast star, breast badge and ribbon bar. Measures approx. 16.5 cm x 12.5 cm x 3 cm. The top has appliqué Hungarian state emblem of the early style. The case is more recent than the awards, possibly commissioned by the recipient to replace a worn out or broken original issue case. 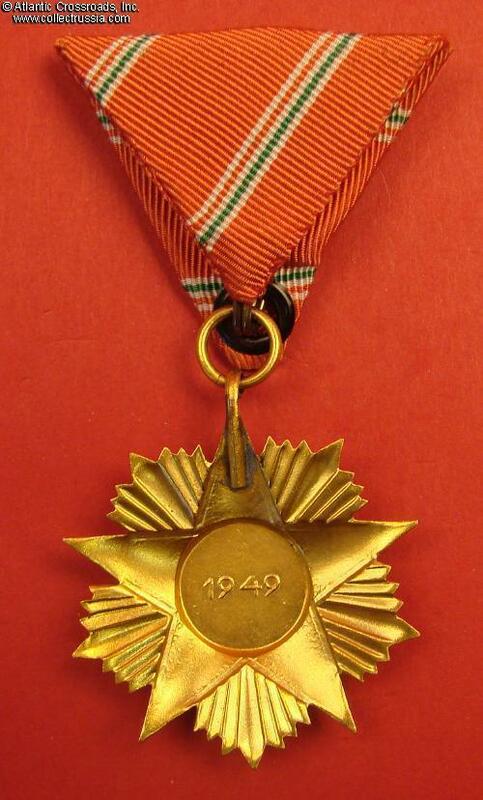 The Order of Merit of the Hungarian People's Republic was a short lived award: it was issued only from 1949-53. 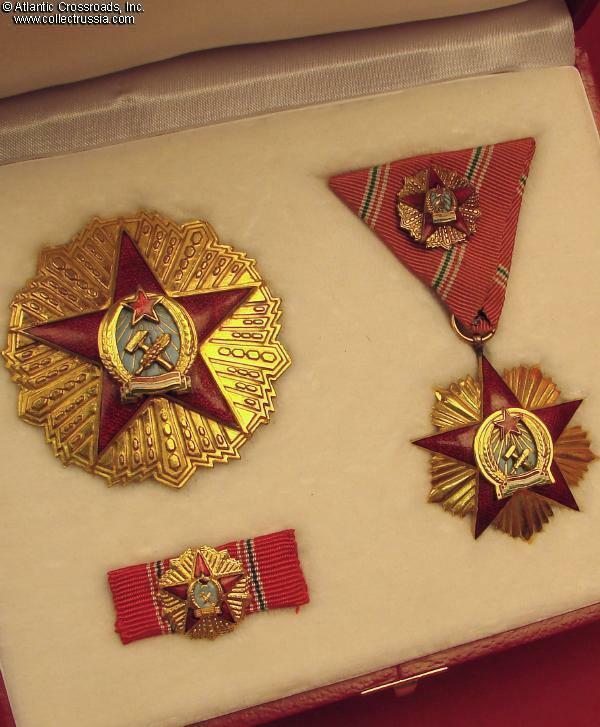 The fact that more than just a handful were made can be explained by the requirement that the recipients of the pre-1949 Order of the Republic exchange their early insignia for the new type. All of them were later counted by the socialist regime as the recipients of the new, "politically correct" People's Republic order thus adding to the overall total. Even with the numbers inflated by the reissues however, all classes of the order remain quite scarce. Of the Second Class, only 174 were ever issued.